Description: Very Rare Fleuron, North Tonawanda New York Vase. About 12" tall. Unglazed, as most the Fleuron pottery I have seen is. 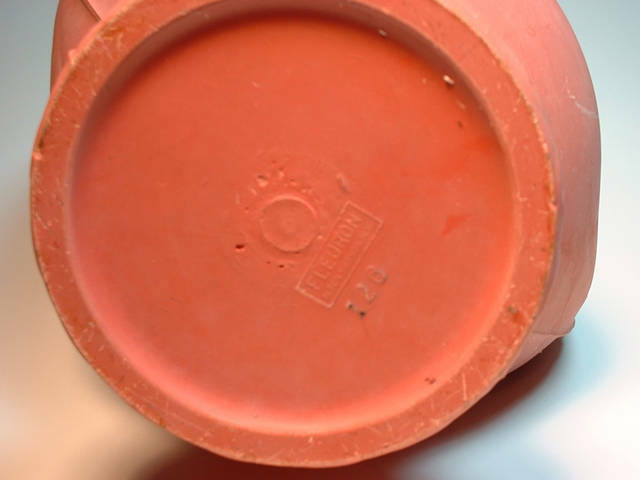 I have seen 4 pieces in my life, 2 pink clay (this one), one green glazed and a black clay one (on this site). There seems to be very little known about this company. It apparently was in business but a short time in the late 20's or early 30's. It is possible they made blanks for other decorators. 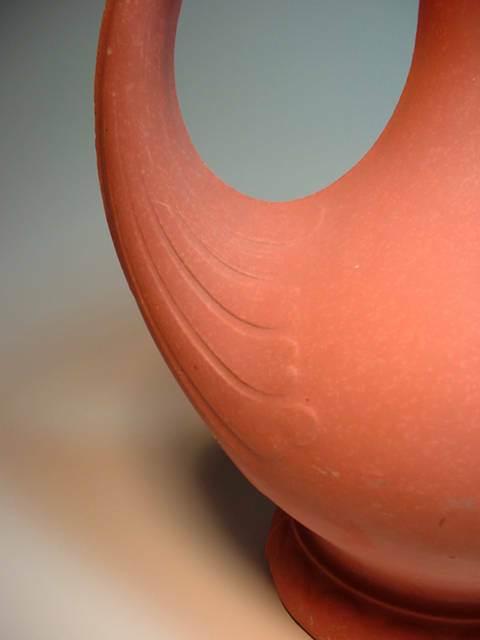 This vase has a few scuff marks, and a hairline which can be seen near the base in pic. #1. 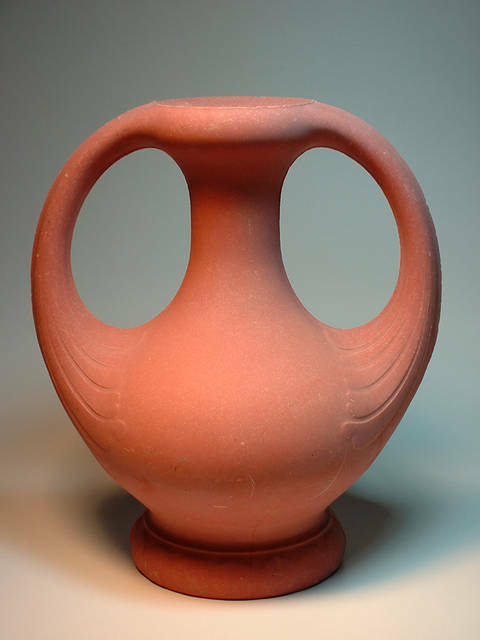 Additional information: I have been told these vases were made using a ram press to simply press dry clay into shape. if you have one DO NOT GET IT WET. Rumor has it that it will fall apart if wet. No wonder they are rare.